Please note Turkish Delight changed her name to LADY ELIZABETH. 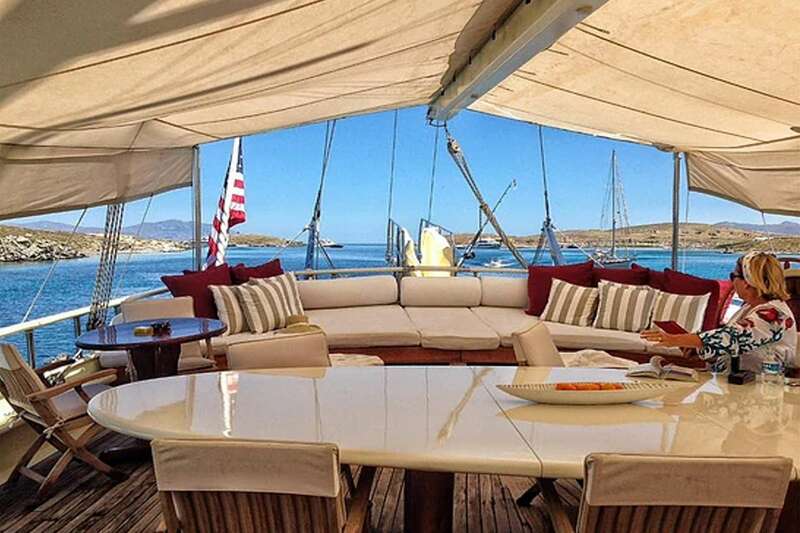 Lady Elizabeth is a 25m custom sailing Gulet, a magnificent, traditional wooden ketch handcrafted in Bodrum, Turkey. 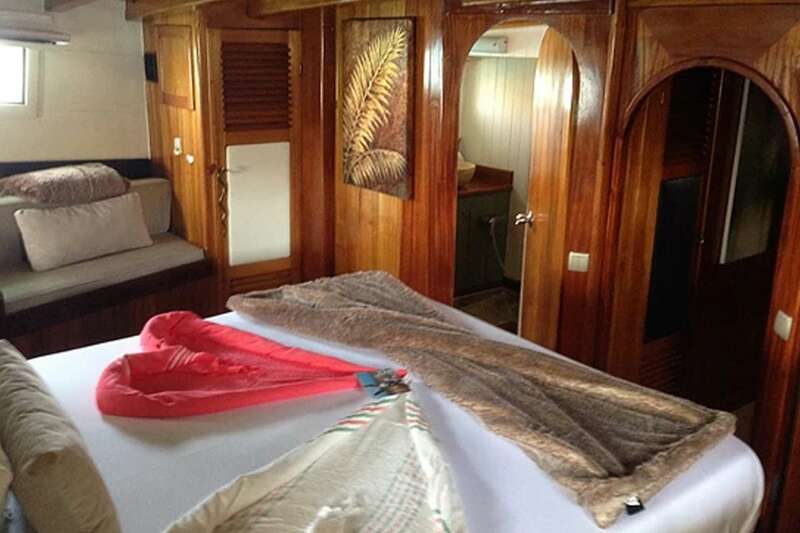 The yacht has been completely refitted by proud new owners to comfortably accommodate 8 guests in 4 air-conditioned cabins. 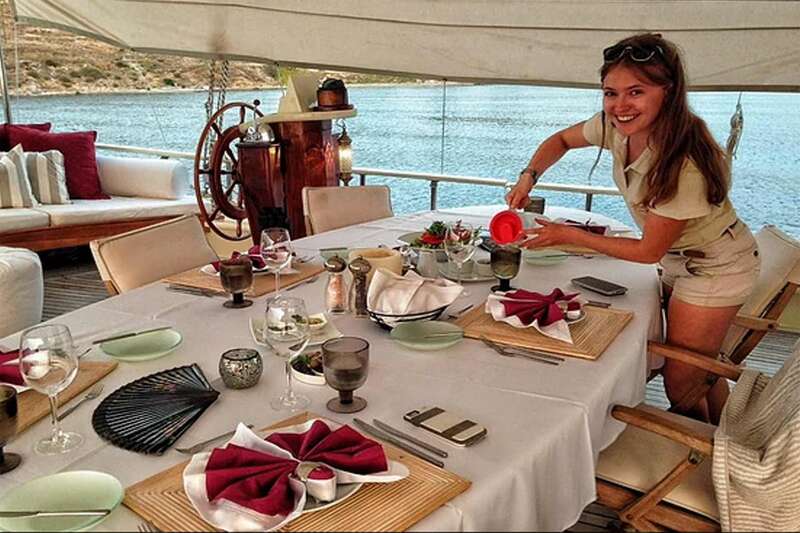 For an authentic sailing adventure through the captivating Turkish Riviera or exploring the wonders of the Greek Islands, Lady Elizabeth provides a phenomenal experience. 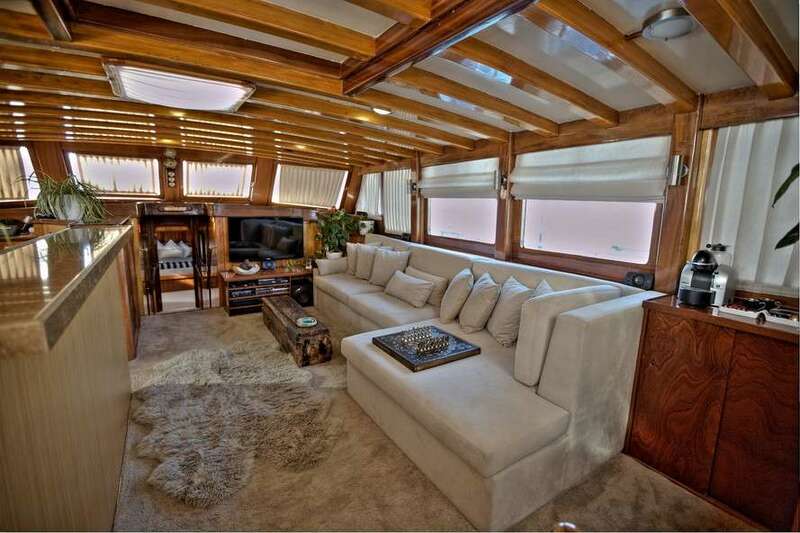 The main deck, salon, and galley are spacious, comfortable and feature a modern electronic and entertainment center. The upstairs bar, with its great views, is equipped with two ice machines to guarantee cold beverages on demand. 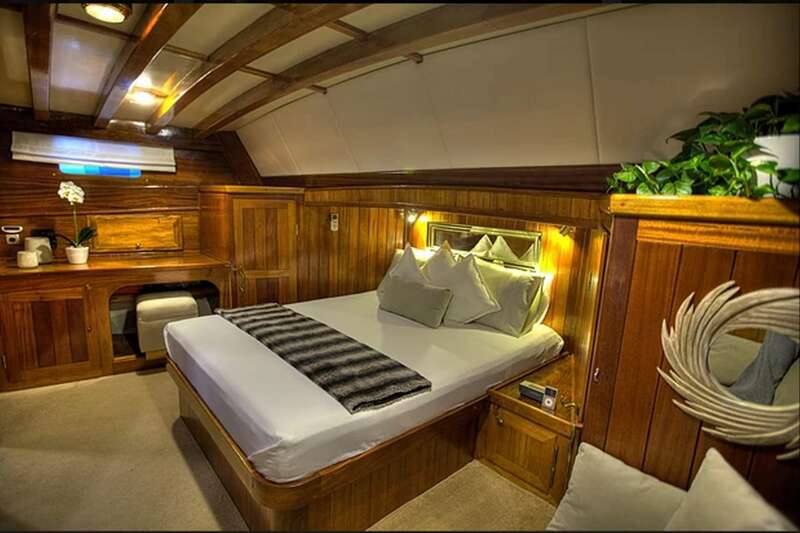 On deck, Lady Elizabeth has an alfresco dining area on the bow and a lavish sunbathing areas on the fore and aft decks, which can be covered with awnings if requested. 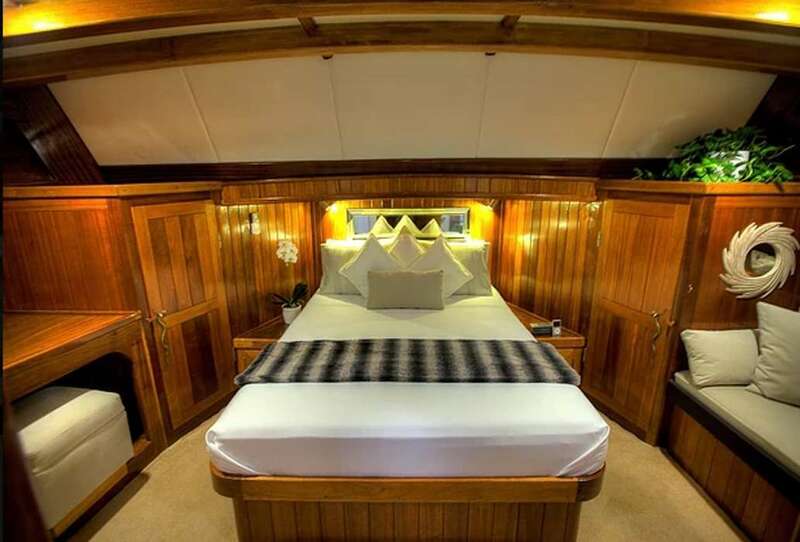 Lady Elizabeth accommodates up to eight guests in two tastefully decorated en-suite master cabins (one fore and one aft) and two regular en-suite guest cabins. All rooms feature custom queen-size beds, fine linens and are fully air-conditioned. Lady Elizabeth is an excellent vacation option for families with children of all ages, groups of friends or a more intimate romantic honeymoon or special anniversary. The captain and crew are all master sailors who know the region intimately. Enjoy a relaxing and memorable cruise sailing the azure waters of ancient mariners, and discover the enchantments of the Turkish Riviera and the Greek Islands at a level of luxury not often found on traditional Turkish gulets. Together with you, the crew will create an itinerary specified to your preferences to ensure the experience of a lifetime. 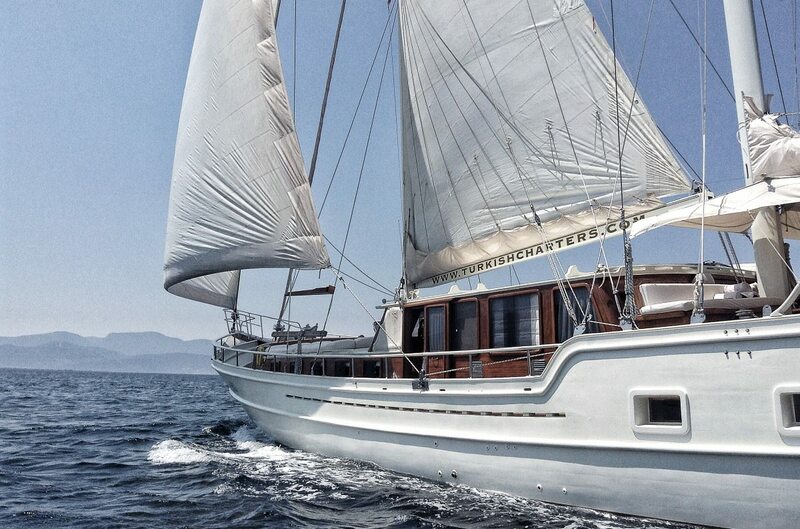 Visit Lady Elizabeth's website for further information, stunning photos and suggested itineraries: www.turkishcharters.com. 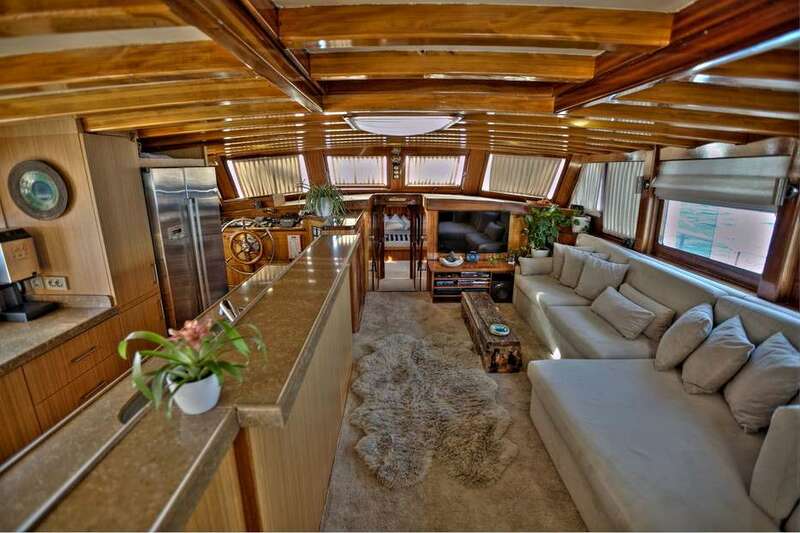 Main Salon with Galley Bar - VERY comfortable! 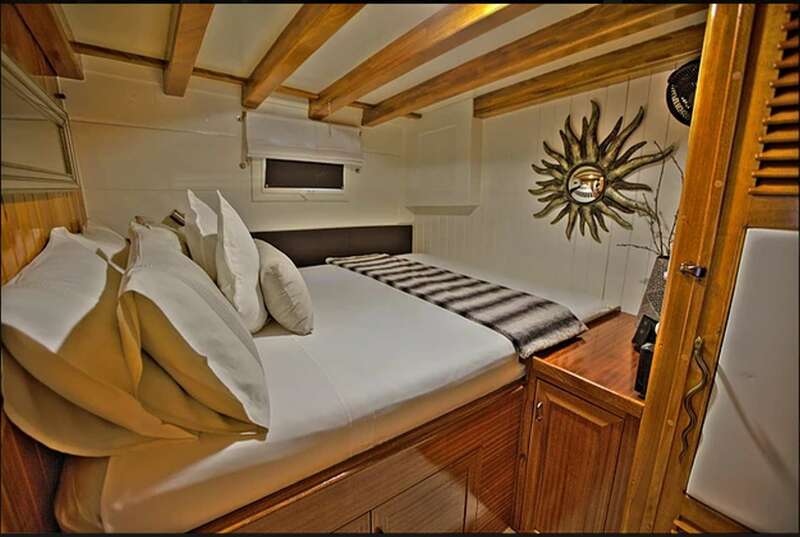 1 Master stateroom fwd w/ separate shower and bathroom and queen bed with tempura pedic mattress, 1 Master stateroom aft w/ separate shower and bathroom and queen bed with tempura pedic mattress, 2 x ensuite, guest queen bed staterooms.